We would like to emphasise that, if at all possible, building on landfill sites containing putrescible material, and which therefore are likely to be generating landfill gas should be avoided. 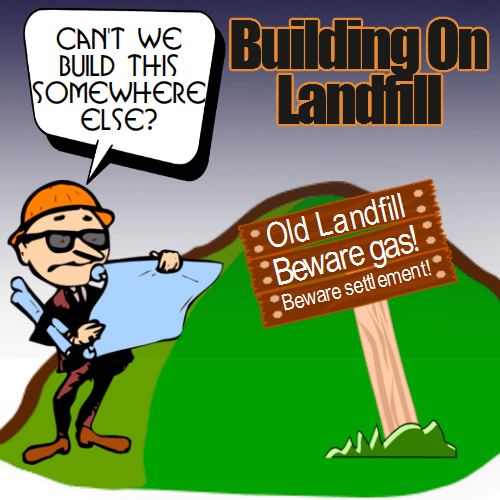 Some old landfills will be free from landfill gas, but do take great care to obtain expert advice before you assume that any particular landfill is truly free from landfill gas, and that therefore no risk exists. 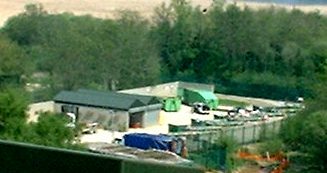 We have found that landfill sites are continuing to produce significant volumes of landfill gas, for many years and many sites are still producing gas after in excess of thirty years from closure. However building land is in short supply in so many countries, and there are strong arguments to suggest that even in regions where land is still plentiful, we should re-use the land if at all possible. Building has taken place on some gassing landfill sites and no doubt more will take place in the future. Experience has being gained in suitable protection measures, and it is apparent that two primary problems i.e. subsidence and methane/odour, have to be overcome. Solutions are easiest if the landfill is not deep e.g. 3-4 m thick where digging out the waste locally to structures, followed by replacement by inert fill may be both the safest against explosion in case landfill gas seeps into the property, and be economically the most viable. An interceptor trench is often then required to prevent gas migrating from the remaining waste into the inert fill. 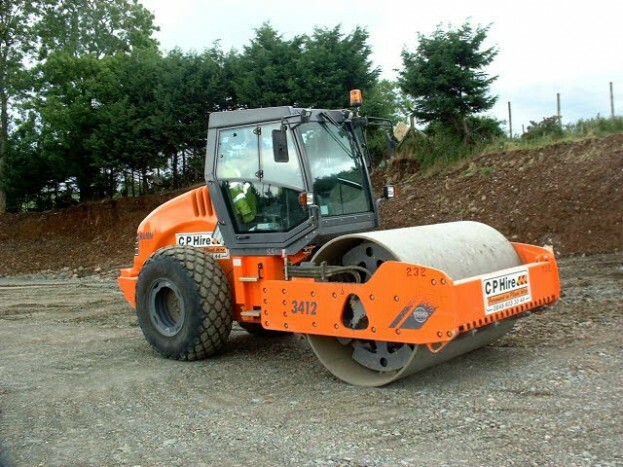 If it is not practical to remove the waste, then buildings are normally erected on base slabs which are themselves supported on piles driven into firm ground below the base of the landfill. The use of this construction technique will overcome subsidence problems. Household waste sites are probably the most common form of building found on landfill sites, and as their operators are also usually landfill operators the hazard of landfill gas migration is well appreciated and catered for, by the installation of suitable safety measures. The problem remains of preventing landfill gas present underneath the base slab from entering the building above. The simplest approach is to build an air space under the slab; the void is then ventilated naturally or artificially. This technique has been used in the construction of many warehouses, supermarkets, and sports facilities. The normal practice has been to provide an air space of 300mm to 500mm depth, but some have been constructed as much as 1-1.5 m high to encourage dissipation of the gas by natural convection over large areas. Clearly, the use of natural air currents to vent the gas to the atmosphere is inherently safer than to rely on electrically driven fans, which may fail for many reasons. Covering the ground underneath the slab with impervious material or a plastic membrane may help to minimise odour/gas emissions. Another approach is to again use piles but to lay the slab on a layer of porous rock on the landfill surface. Horizontal perforated pipes are placed in the porous material and are continuously pumped under a suction pressure, so that 1-2 air changes per hour are maintained under the slab, in some designs. However, the airflow rates required do vary greatly and need to be set by experts, in the knowledge of the rates of possible ingress at the site, under the maximum gas generation periods (normally during the highest rates of falling atmospheric pressure). This system has been successfully used in many properties, however, any system of forced ventilation will require to be maintained for many years, and the owner and future purchasers will have to commit to the cost of this. These systems are often backed up by incorporation of a plastic membrane below the slab itself. Attempts to render concrete slabs impervious to gas by painting them with sealants have met with little success. Surprisingly large volumes of gas can penetrate small cracks in concrete. It has been suggested also that gas problems can be overcome simply by spreading a thick (at least 1 mm, and normally HDPE) continuous plastic membrane over the ground surface and building on it, with suitable protection above and below the membrane to prevent penetration. This technique has been successfully carried out on at least one London motorway services area. However, if the structure is above waste, this will settle over time, and piling is required to overcome subsidence, then one is faced with getting a good seal between the membrane and the piles which will remain intact after settlement. Attempts are often necessary to avoid trapping gas in pockets between cross-members under the slab, especially if groundwater level rises might push the gas upwards under pressure at any time. It is also essential that if services such as electricity, gas, water, drainage, telecoms related etc, penetrate the slab (or raft) that they are also sealed in a satisfactory, and truly permanent, fashion. As a final precaution it is suggested that rooms at risk in buildings on landfills are fitted with audible gas detection devices or that monitoring for methane is carried out regularly both during the construction phase and after the building is occupied. The extracted gas can simply be vented to the air, but if significant flows of gas are involved it should be flared, both to overcome odour problems, and to comply with requirements of the environmental regulators. In most developed countries the regulators will require flaring in order to reduce greenhouse gas emission rates. All these precautions may seem stringent, but one must never forget that a gas explosion, if it was to occur, is a highly dangerous event and the risk of major injury is very high. For this reason both passive and active landfill gas migration risk prevention measures are normally used in tandem in these buildings. All designs must be based on a good quality scientific data and detailed risk assessments, prepared only by acknowledged experts in this work. For more Landfill Gas information visit our web site www.landfill-gas.com . 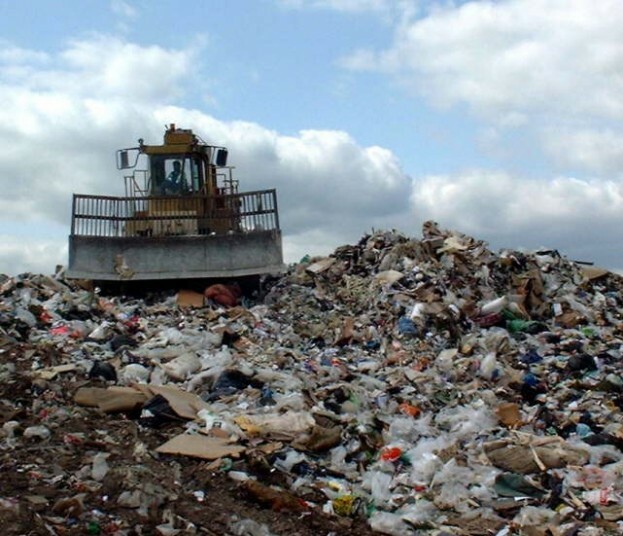 IPPTS Associates provides a landfill & landfill gas related design service, and has extensive experience in landfill gas migration, risk assessment, and in the construction of buildings on landfills. Complete our email form at our Contact Us Page, or at the Landfill Gas Site www.landfill-gas.com .